The “names” of this work’s two volumes are the words of its title parsed into two—a heuristic apportioning of pieces that means very little, inasmuch as these words, as they conceptually operate in these texts, implicate and interpenetrate each other so thoroughly that they are practically synonymous. 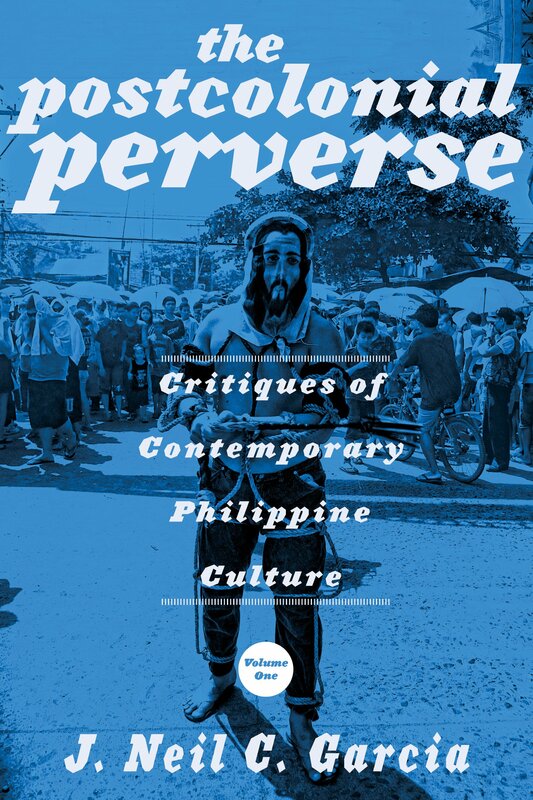 Extending his inquiry in fields that go beyond LGBT studies, in The Postcolonial Perverse Garcia proposes a critique of the dominant view on Philippine culture which sees identity as inherited and prescribed. Again and again Garcia argues that identity is constructed through struggle and performance, using a variety of sources and strategies . . . We are indeed the authors of our lives, and Garcia helpfully sketches the framework and contours of the landscape, encouraging us to invent and discover ourselves. In these days of constant change, where nothing remains as before and “everything solid melts into air”—we need guides to help us maneuver through this transient world, marked by an excess of meaning and a lack of sense. Essentialist, historic, or primordial elements may help us in our quest, but only if they are properly and critically understood. This collection helps us assess their usefulness and credibility. Garcia is well known for both his advocacy for the gay movement and for theorizing its intellectual and social claims. The first required considerable courage while the second assumed familiarity with a range of contemporary writings on social and sexual minorities. As these essays demonstrate, Garcia is exemplary on both counts . . .
J. Neil C. Garcia teaches creative writing and comparative literature in the University of the Philippines Diliman, where he serves as a fellow for poetry in the Institute of Creative Writing. He is the author of numerous poetry collections and works in literary and cultural criticism, including Our Lady of the Carnival (1996), The Sorrows of Water (2000), Kaluluwa (2001), Slip/Pages: Essays in Philippine Gay Criticism (1998), Performing the Self: Occasional Prose (2003), The Garden of Wordlessness (2005), Misterios and Other Poems (2005), Postcolonialism and Filipino Poetics: Essays and Critiques (2003), and the monograph At Home in Unhomeliness: Philippine Postcolonial Poetry in English (2008), whose accompanying anthology he edited for the Philippine PEN. In 2009, Hong Kong University Press published its own international edition of his Philippine Gay Culture (1996). Between 1994 and 2006, he coedited the famous Ladlad series of Philippine gay writing. He is currently working on a full-length book, a postcolonial survey and analysis of Philippine poetry in English, partial research for which he carried out in the United States in the spring of 2008, as a Fulbright senior research fellow. His most recent book is Aura: The Gay Theme in Philippine Fiction in English, published in 2012. This anthology gathers together Filipino anglophone stories and novel excerpts about the male homosexual character, by nationally acclaimed writers like Jose Garcia Villa, N.V.M. Gonzalez, Edith Tiempo, and Ninotchka Rosca. He is also currently at work on “Likha,” his seventh poetry book, which will be a sequence of lyrics about the generative power of mourning and fallible affection.